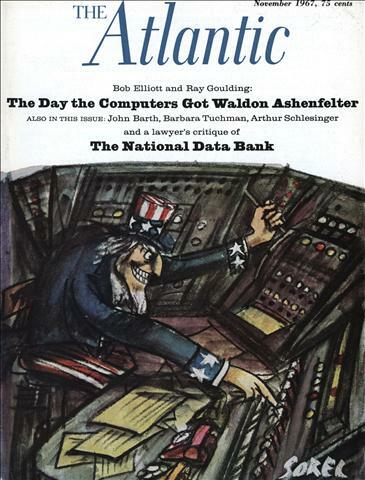 COMPUTERS AND VIDEO appear to offer an endless variety of combinations, as this month’s cover by Robert Tinney depicts. 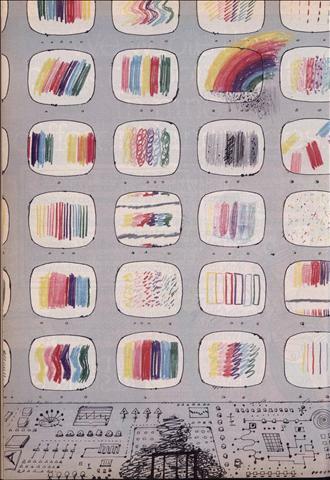 With an increase in higher-power communication satellites that require smaller, less-expensive user antennas and electronics, and with the melding of television receivers and microprocessors, we might look ahead to the day when worldwide person-to-person visual as well as aural communication is based on personal computers and not on a direct descendant of Mr. Bell’s original invention. I can’t tell you how excited I was when I found this magazine on eBay. I thought that the author was this Arthur Miller. 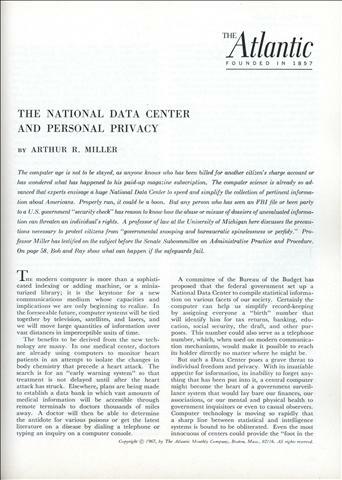 An article about the personal privacy threats inherent in massive government databases, written by the author of the Crucible sounded amazing. It turns out that the author was actually this Arthur Miller, and I don’t think anyone could have done a better job. This is the most amazingly prescient article I’ve ever read. When people write about the future they are usually wrong. 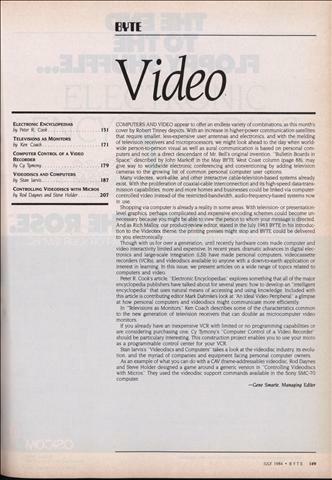 When people write about the future of computers, they are usually even more wrong. This article got everything right. If you changed the tense and a few bits of jargon, then handed to me and told me it was written by the EFF, I’d believe it. Just to give you an idea of how right he was on even the basic computer stuff, here’s the second paragraph of the article. 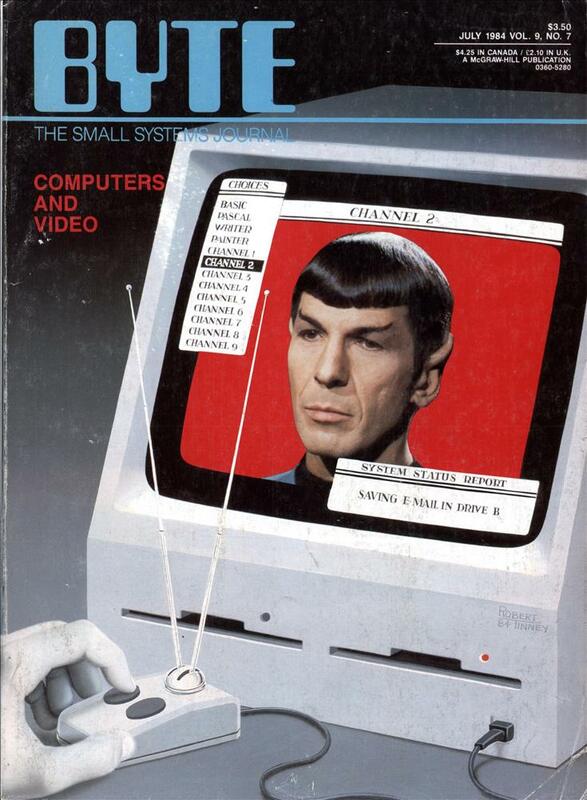 Keep in mind that this is what desktop computers looked like in 1967. 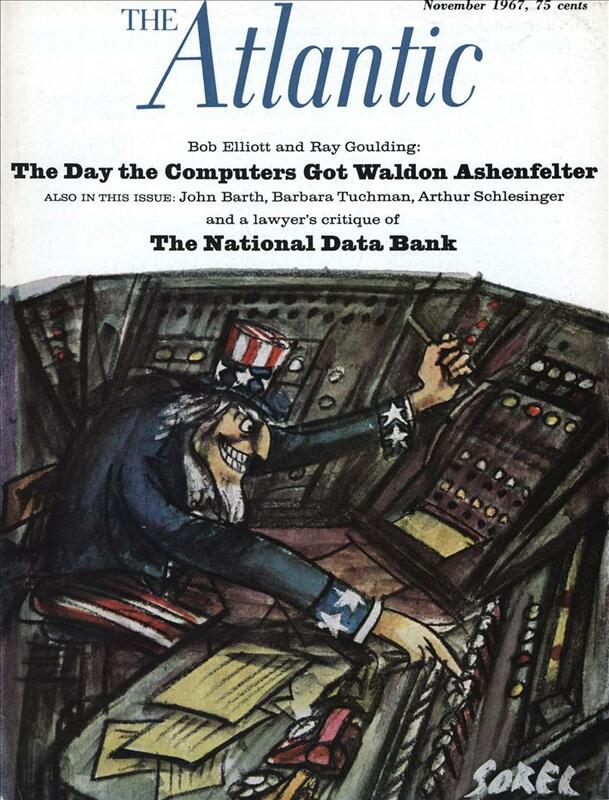 Forty-one years ago Arthur R. Miller laid out all of the privacy threats that we face now. The power that credit reporting databases have over us. The illegal government use of our financial and phone records. The attempt to build a master database tying all of these together. The fact that the government might consider you a threat if you so much as sent a Christmas card to someone the government has on a watch list. It’s all here. He basically predicted and laid out all of the arguments against the Total Information Awareness program and the current NSA programs that have been so much in the news. It’s nice to know there were people who were so ahead of the curve in trying to protect our rights, and it’s a tragedy that more people didn’t listen. I think it speaks strongly to the need to pay attention to this stuff now, because this problem will only get worse.